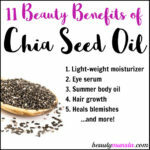 14 Beauty Benefits of Chia Seeds - beautymunsta - free natural beauty hacks and more! Discover 14 fantastic beauty benefits of chia seeds for skin, hair & more! Chia seeds, which have been only recently hailed as an amazing super food have been a staple food of the Mayan, Inca, Aztec and Native Indian civilizations. They were valued for their tremendous nutritional and medicinal benefits to the body. These tiny seeds are called the ‘Indian running food’ because they supplied high energy and endurance to the powerful Aztec warriors, who would eat them as they marched relentlessly during their conquests. The Aztec Indians would eat as little as a teaspoon and only that, for their nourishment as they ran from the Colorado river to the Californian coast to trade turquoise for seashells. Healthy skin and hair need a diet rich in healthy fatty acids, minerals and antioxidants. Chia seeds are bursting with essential omega 3 fatty acids! In fact, chia seeds are so rich in healthy fats that the word ‘chia’ itself is got from a Nahuatl (Aztecan) word chian which means ‘oily’. The word ‘chia’ is also said to come from a Mayan word meaning ‘strength’. Chia seeds are mega rich in protein, zinc, phosphorous, fiber, to mention but a few! Add these antioxidant bursting super foods to your everyday dishes like smoothies, juices, yogurt, soups, muffins, bread, cookies and even plain old water to get the amazing beauty benefits! Before you go superseed hunting, first read these 14 powerful beauty benefits of chia seeds! Chia seeds are rich in protein, omega 3 & 6 fatty acids, phosphorous, zinc and powerful antioxidants. They are complete sources of protein and contain 19 essential amino acids! Protein, sulphur and amino acids are extremely beneficial for healthy long hair. Eat chia seeds everyday to strengthen your hair follicles and promote long luscious hair! 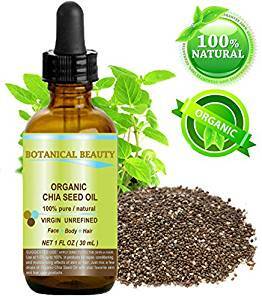 Chia seeds are amazing for healing acne as they are rich in powerful anti acne nutrients like zinc (fights acne bacteria), omega 3 fatty acids(hydrates dry acneic skin/heals inflamed acne), fiber (flushes out acne causing toxins)and protein(repairs cells & heals acne faster). Chia seeds also contain omega 3 fatty acids which promote quick wound healing such as popped acne wounds by protecting the top most layer of the skin from contaminants and irritants. Chia seeds exhibit anti-inflammatory properties that soothes skin inflammatory conditions like acne inflammation, eczema, rosacea and more. What makes chia seeds great for relieving inflammation is their rich omega 3 fatty acids! These fatty acids fight inflammation by helping the body in absorbing fat soluble vitamins and inhibiting pro-inflammatory C-reactive protein. Omega 3 fatty acids also retain moisture in skin cells by improving the health of the skin barrier. Who doesn’t want smooth glowing skin!? Nourish your skin cells with the nutritious chia seeds! The omega 3 acids in chia seeds moisturize and feed your skin cells with the necessary nourishment they need. These fatty acids strengthen cell membranes, especially the barriers around them, This keeps away irritants and toxins and allow in water and nutrients, promoting healthy skin cells and tissue. Healthy skin cells and tissue = Smooth glowing skin! Chia seeds form a gel when soaked in water for long hours. This gel can ultra hydrate dry frizzy hair! DIY Chia Seed Hair Gel: Make this chia seed hair gel for your hair: soak 1/4 cup of chia seeds in 2 cups of water. When the chia seeds balloon up and the water turns into a gel, stir in 3 tablespoons of cucumber juice (without the seeds) and 1 tablespoon of olive oil. Mix well and let it settle for about 5 minutes in the refrigerator. Then strain the chia seeds and slowly pour this concoction on your scalp and locks while massaging. Leave it on for 10 minutes before rinsing thoroughly. Chia seeds contain very many antioxidants, even more than blueberries! Antioxidants in chia seeds include the popular compounds; quercetin, caffeic acid, myricetin, chlorogenic acid and more! These antioxidants are beneficial in healing skin cells and tissue damaged by environmental pollution and lifestyle behaviors. The rich omega fatty acids, amino acids and protein promote cell, tissue and muscle regeneration. 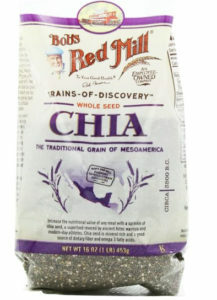 Also, chia seeds are very easy to digest and ease in assimilation of other foods. Immediately after consumption, nutrients travel directly to skin cells encouraging very fast cell repair and regeneration! Eat chia seeds the right way and use chia seed oil topically for healthy skin cells and tissue! Chia Seed Face Scrub: For quick face scrub which you aren’t going to refrigerate for later, you only need 1 teaspoon coconut oil, 1 teaspoon lemon juice and 1 teaspoon ground chia seeds. Splash your face with warm water and apply the scrub gently in circular motions while you’re face is still wet. Let the chia seed scrub sit for at least 3 minutes, during which time it will form a gel. When the time is up, rinse off using tepid water and pat dry. Skin around our eyes is very thin and sensitive, making it easily prone to free radical damage. This skin is most susceptible to wrinkles and fine lines. Use chia seed oil to keep this skin free from premature aging. Place a drop of organic chia seed oil on your clean finger tip and gently massage it around your eyes. This keeps the skin smooth and fights under-eye puffiness and dark circles. You can even carefully smooth it over your lashes to make them long and thick! The b-vitamins in chia seeds play a great anti aging role in fighting off pro aging free radicals which degenerate healthy skin cells. Chia seeds are also rich in phosphorous which is an essential mineral for protein synthesis, which promotes and accelerates cell repair and regeneration. Not to mention, the omega 3 fatty acids moisturizes skin cells and protects them from premature wrinkles and fine lines. Incorporate them in your daily diet and use chia seed oil on your skin to get the amazing beauty benefits of chia seeds! Chia seeds are well known for their skin hydrating properties. They absorb up to over 12 times water than their weight! 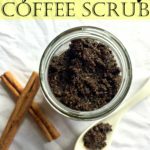 To treat a dry face, grind in a coffee grinder/spice grinder and soak chia seeds overnight. 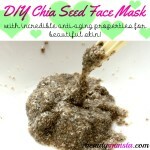 Use 1 teaspoon of the chia seed gel to scrub your face and leave it on as a face mask for 15 minutes. This pumps your dry skin cells with moisture and promote glowing skin! Chia seed oil is a fabulous lip plumper for gorgeous pouty lips. The omega fatty acids provides ultra hydrating and moisturizing benefits for your lips. Pump Lips: Massage chia seed oil or 1/2 tablespoon ground chia seeds mixed with water on your lips to plump them up. Rich in a load of heart healthy fiber, chai seeds are an excellent detox food. Eating chia seeds regularly regulates bowel movement, helping ‘sweep’ out gunk that is stuck in the colon. Chia also helps avoid nutrient wastage by helping in the assimilation of other foods and retention of water for proper digestion. Eliminating toxins through the colon is very healthy for our skin and hair. It prevents toxins from being stuck in the intestines, for example during constipation. These toxins are gradually reabsorbed into the blood stream and end up as breakouts on your skin as a way of getting out of the body! Add chia seeds to your smoothies every breakfast. This is one of the best beauty benefits of chia seeds! Eggs are a crucial ingredient in skin and hair boosting recipes. For those natural beauties allergic to protein-rich eggs, you can eat the equally protein-rich chia seeds instead. Chia seeds can also serve as one of the best replacements for eggs in egg face/hair masks, if you’re allergic to topical application of eggs. To replace one large egg, you only need 1 tablespoon of chia seeds mixed in 3 tablespoons of water. Wait for the chia seeds to swell up in the water and form a gel-like substance. After 5-10 minutes, your egg replacer will be ready! It has a good egg-like texture and feel. Rich in fatty acids, chia seeds strengthens nails and enhances their resistance to breakage and damage. Eating chia seeds regularly also keep your nails vibrant and cuticles, moisturized. Massage a drop of chia seed oil on your nail beds and cuticles to keep them hydrated and glowing! 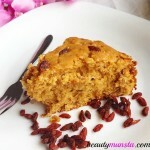 I bought a 16 oz pack of Bob’s Red Mill chia seeds which I use in my smoothies, juices and to make chia jam & puddings. They’re also great to just crunch on as a plain superfoood snack! 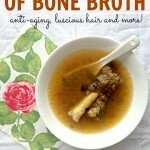 I also use it as an anti-aging facial mask and powerful skin treatment. As for chia seed oil, it’s rich in antioxidants and essential fatty acids that promote soft, supple and youthful skin! Use it as a night time face oil by massaging just 2 drops all over your clean face before bed. Also rub it under and around your eyes to keep away fine lines and wrinkles!